Although the skies were looking a little moody at the beginning of our tour, we had a lovely time out at sea today, with a little swell rolling in by no rain. 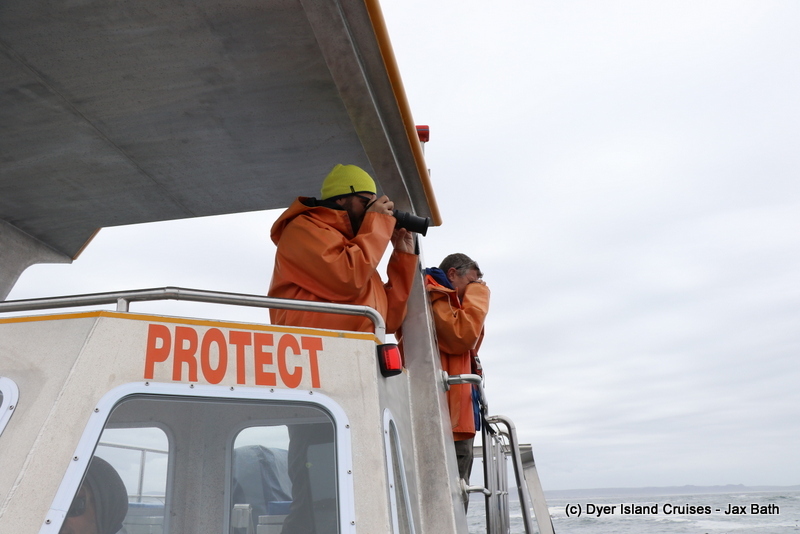 We embarked on our tour at around 10am, hugging the coast and catching up with 2 Indian Ocean Humpback Dolphins, which we believe to be the same 2 that we had around yesterday. 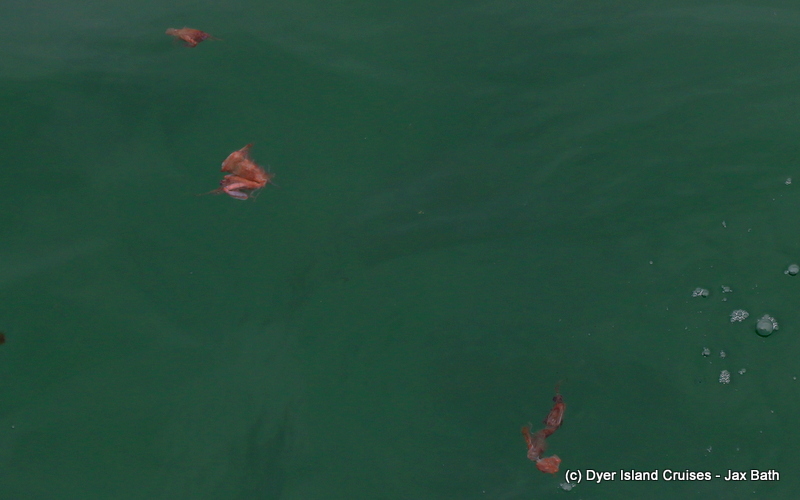 It looked as though these dolphins may have been doing some fishing, so we stayed with them and watched as they moved in all directions. 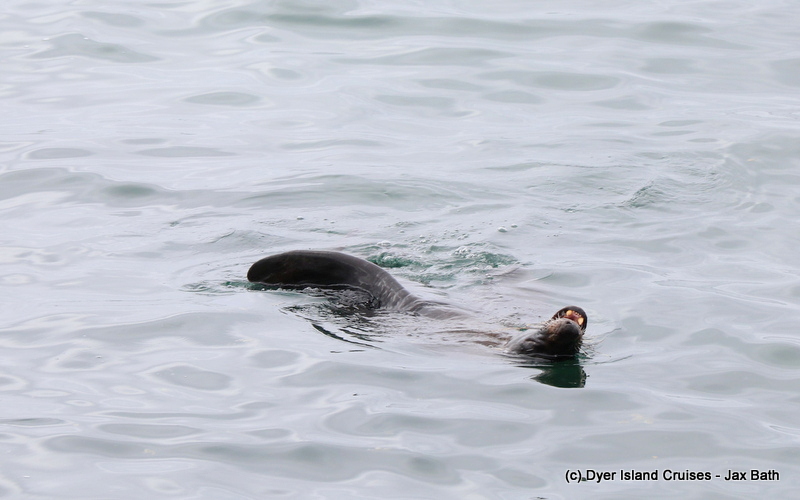 At one point, it looked as though a juvenile Cape Fur Seal was hanging out with these two toothed whales, jumping and playing before carrying on with his day. 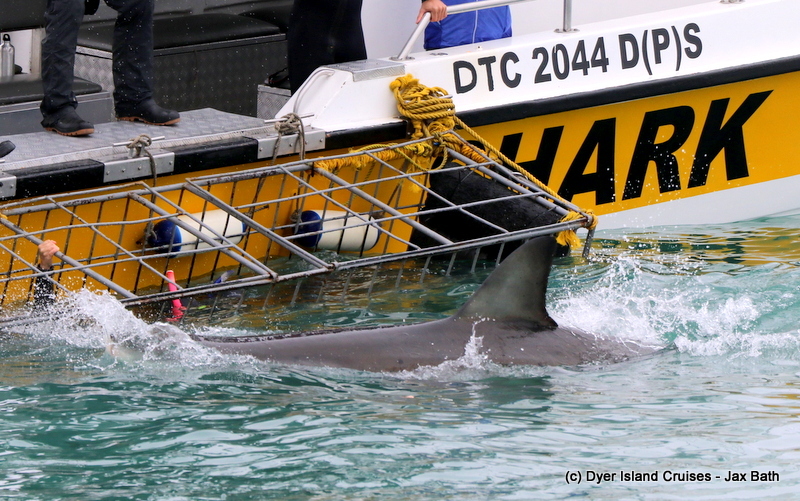 After our time with the dolphins, we found ourselves an incredible Great White Shark in shallow water, with this shark coming out and exposing most of her body as curiously got the better for her. 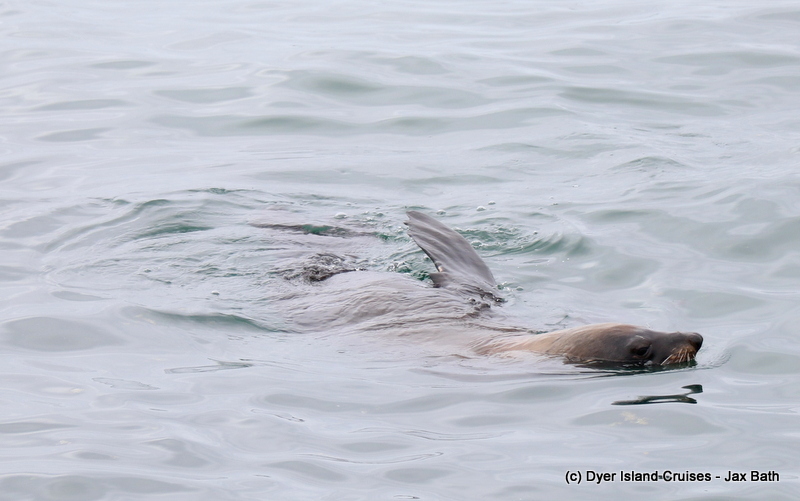 She came around again and again to our absolute delight, with us getting some great photographic opportunities. 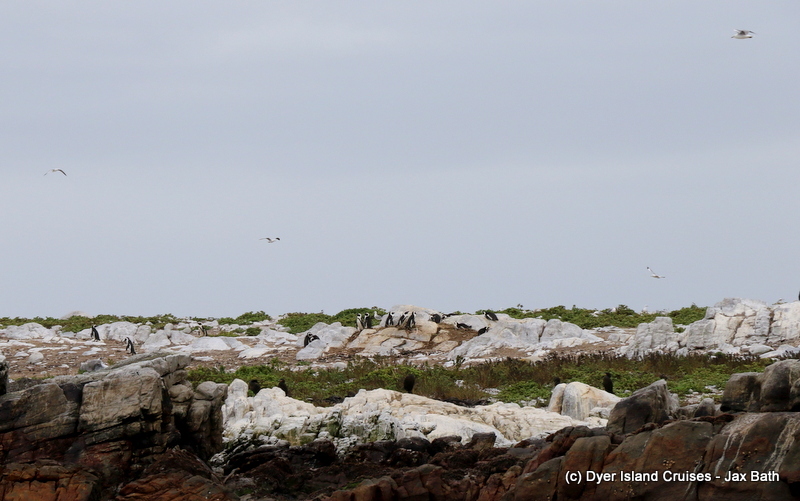 We then moved in the direction of Dyer Island and Geyser Rock, moving into an area called Sponge Bay to see if we could get a nice view of some African Penguins. 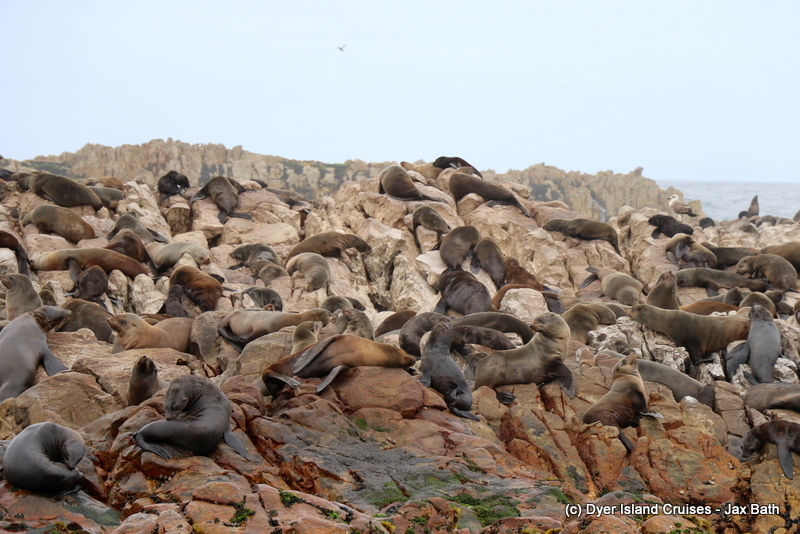 We were lucky to have many huddled on the rocks, and with our binoculars we were able to see these smart, flightless birds nice and clearly. 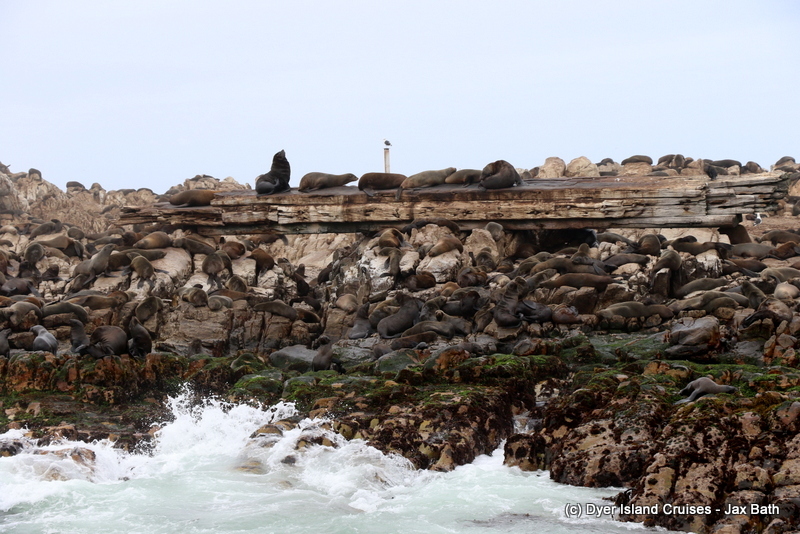 Quality time with our Cape Fur Seals was next on our list , with the alley looking a little bit sharky. 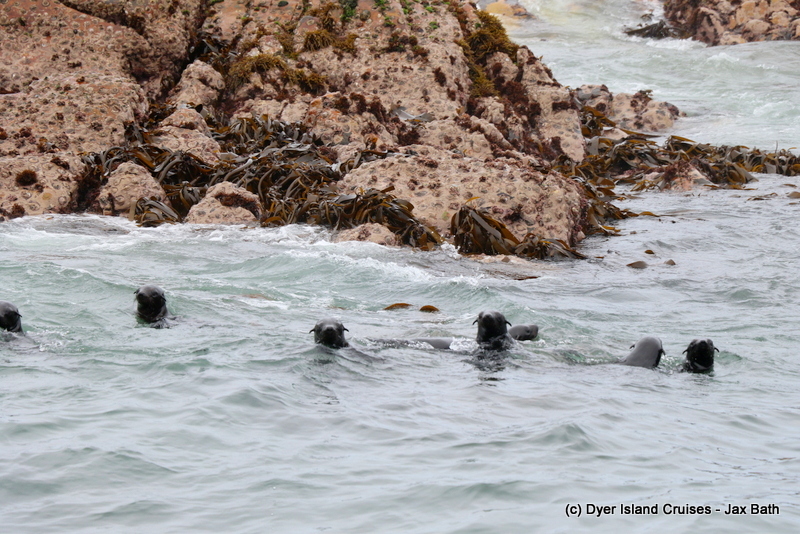 With very few seals in the water and those that were very close to the rocks, one could not help but wonder if their might be an apex predator lurking below. 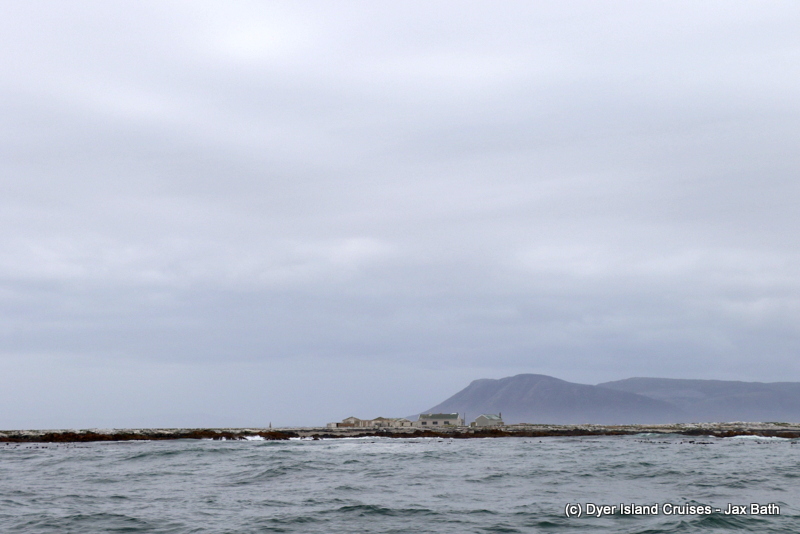 After this stop, we made our way back into Gansbaai harbour, having a look our for the spout of a whale along the way. The keel of the Prince Port, which wrecked in the 1800s. Shrimp shells that may be left overs from a couple of hungry seals. Check those not so pearly whites! 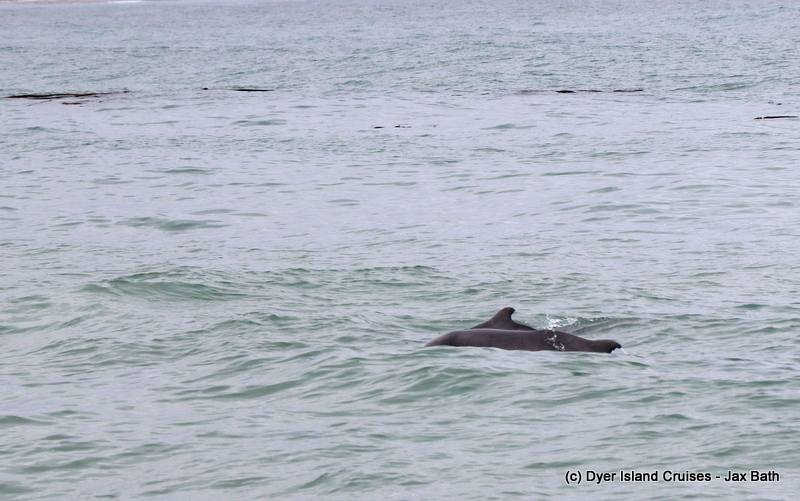 A Humpback Dolphin and her calf, who has grown considerably since we last sighted this pair. 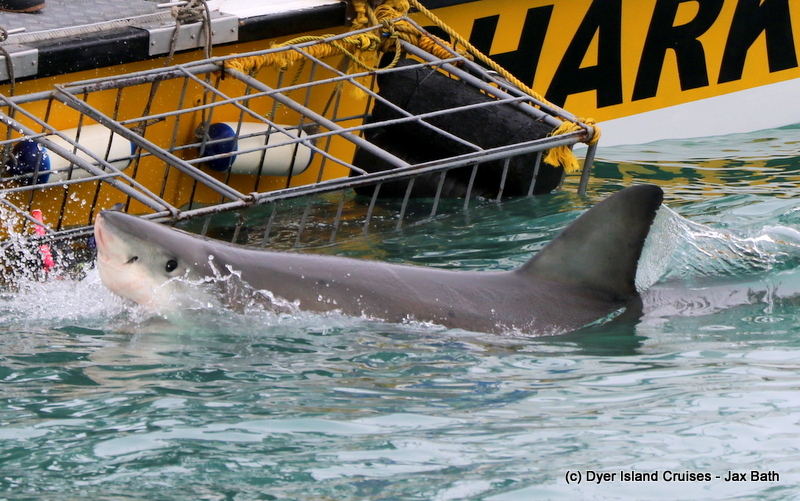 An epic sighting of a Great White Shark. A good look at the fin of this apex predator. 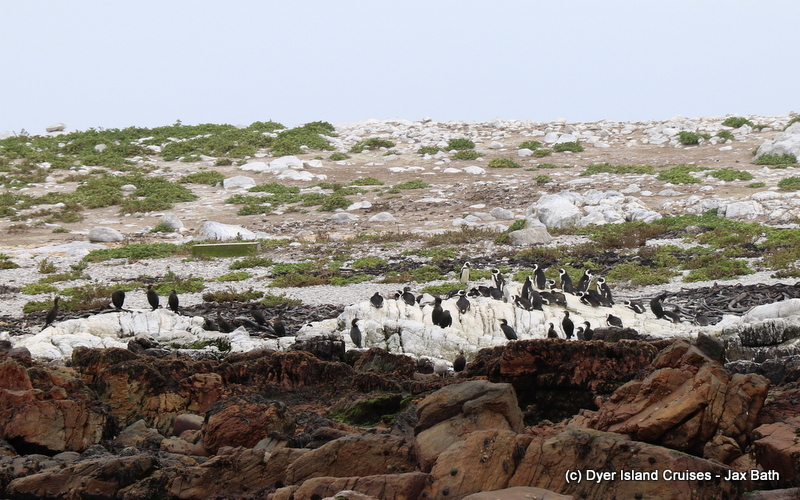 Some African Penguins hanging out on their home. Look at how big our pups are getting.